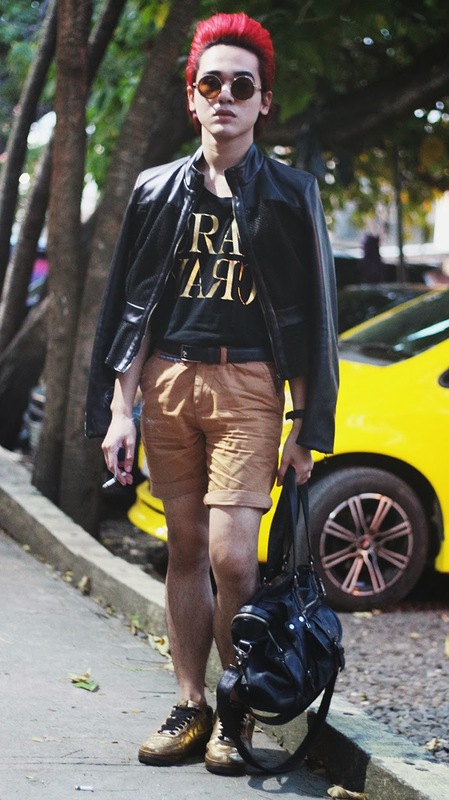 Black leather and gold is like an icing in a cake, it's one of the most inseparable pairs. It's not just the color but it is also the texture, the shimmer and whatever it is that characterizes perfection. Gold in black or black in gold, switch it over and you'll just come up with the same superb combination. I actually just imagined myself with this look right after Young Blood, The Aidx Paredes let me borrowed his brother's "golden shoes". 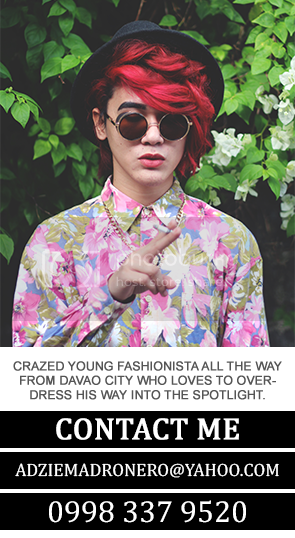 And I thought these shoes would really look good in shorts and my cropped top with gold prints. I would like to thank my sister for this black leather Debenhams jacket she got me for Christmas. 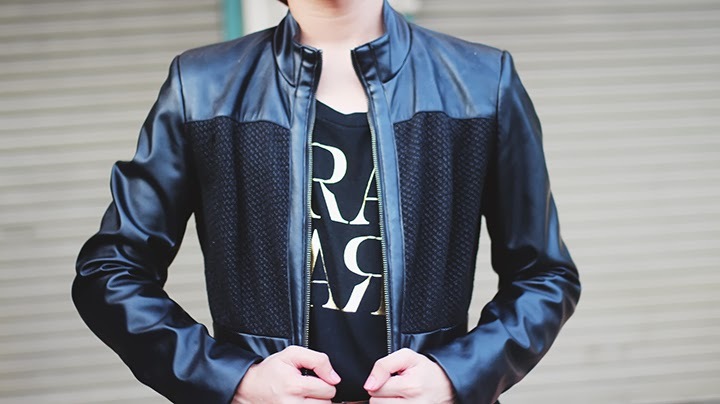 It's actually my first leather jacket since these are really expensive, and with my allowance, it would surely take me a few weeks just to buy one. 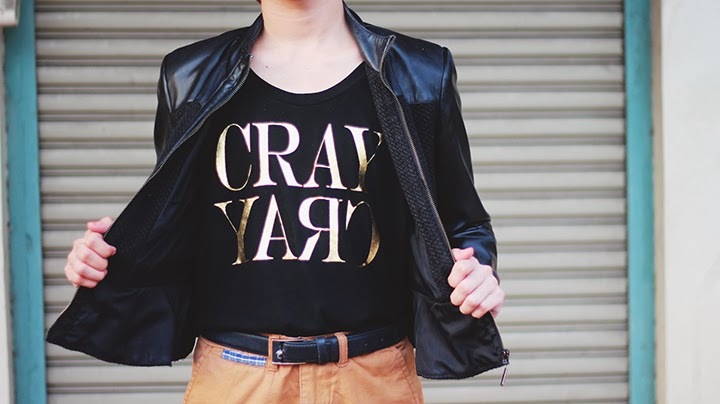 The Forever 21 cropped-top with the "CRAY CRAY" gold print that I was talking about. The texture really does compliment the leather jacket, and of course the golden shoes I am wearing. 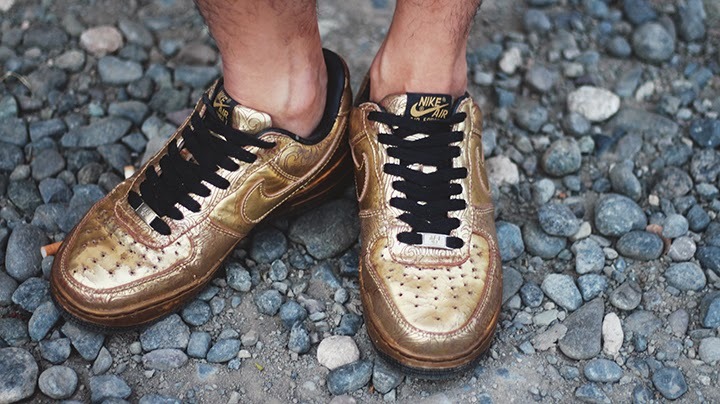 Here's the limited edition Nike Air or as I call it "the golden shoes" which Aidx let me borrowed just for a while. It actually has a 2 or 3 inches platform and really comfy feel when you wear it. It's the first time for I think about 3 years that I have once again wore an actual pair of shoes, so of course I kinda felt a little uncomfortable wearing them at first but what the heck, considering the whole look, I'd say I nailed it! Deby Binalla for the perfect photos.